In May, 2017, I ran a three-article series on pocket pistols. The pistols viewed that week were the Beretta 3032 Tomcat (.32 ACP/7.65mm) and the Colt Mustang Lite (.380 ACP/9mm kurz). That series culminated in a shoot off between the two, as well as a size/weight comparison between them of the Walther PPK and PPK/S. 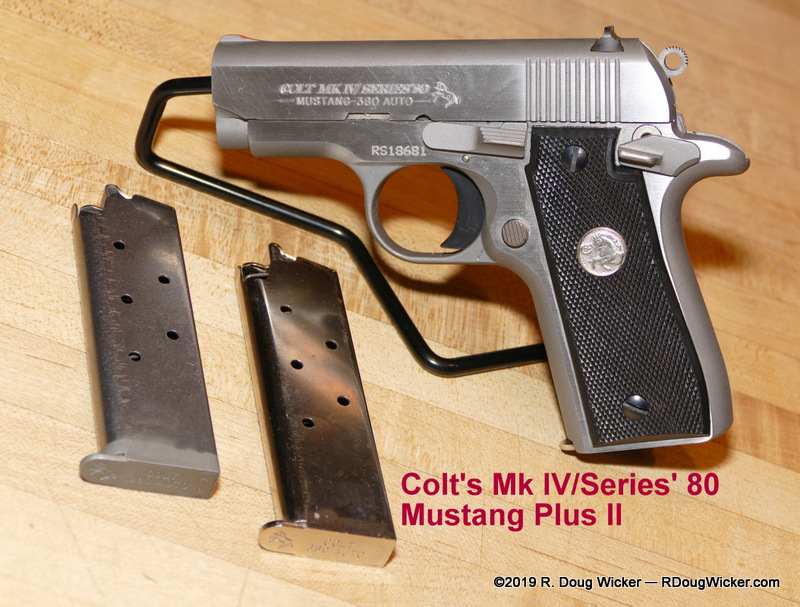 While researching that article, I found information on the Colt MK IV/Series 80 Government Model 380 (a scaled down version of the Series 80 Model 1911 introduced in 1984), and the even smaller early Colt Mustangs, which arrived two years later and continued in the market until around 1998 (reintroduced in 2011). 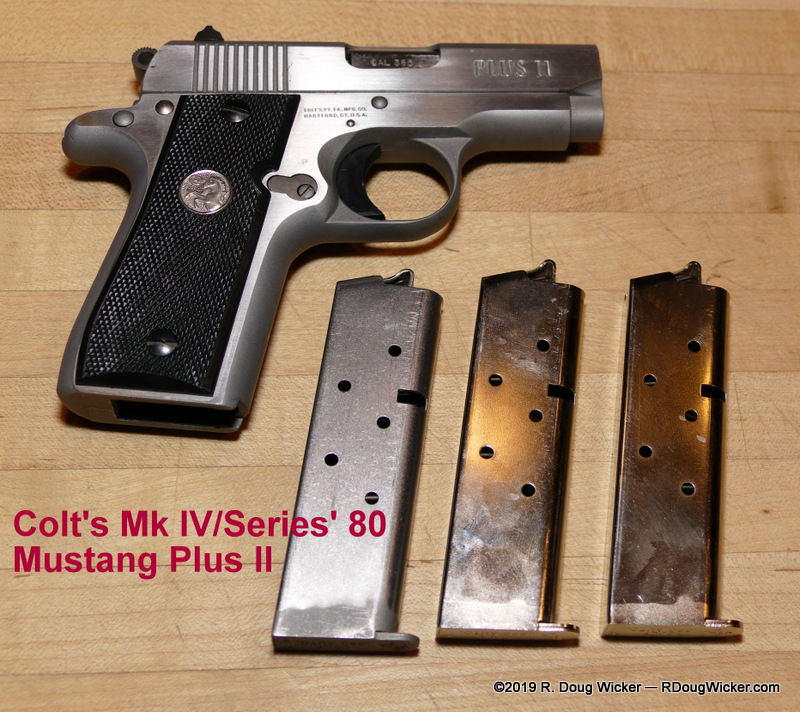 What I did not include in that article was information on another Colt .380 ACP/9mm kurz pistol that starting in 1988 bridged the size gap between the Government Model 380 and the Mustang. 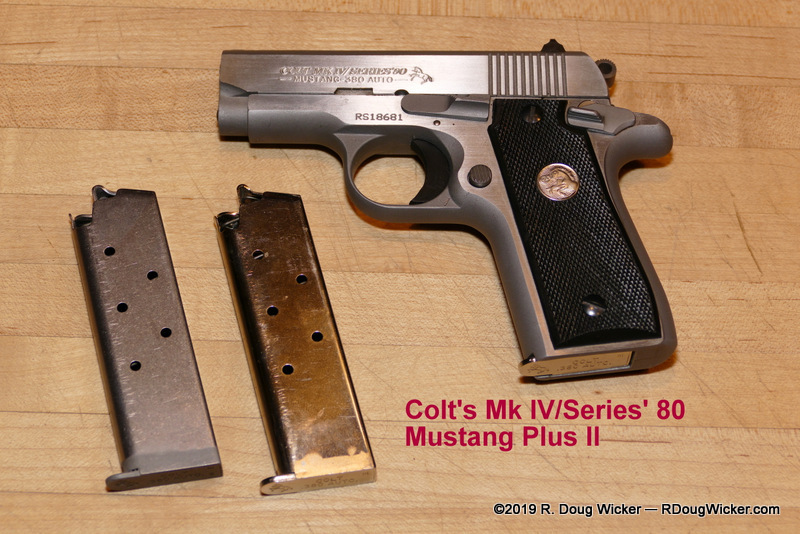 That pistol is the Colt MK IV/Series 80 Mustang Plus II. 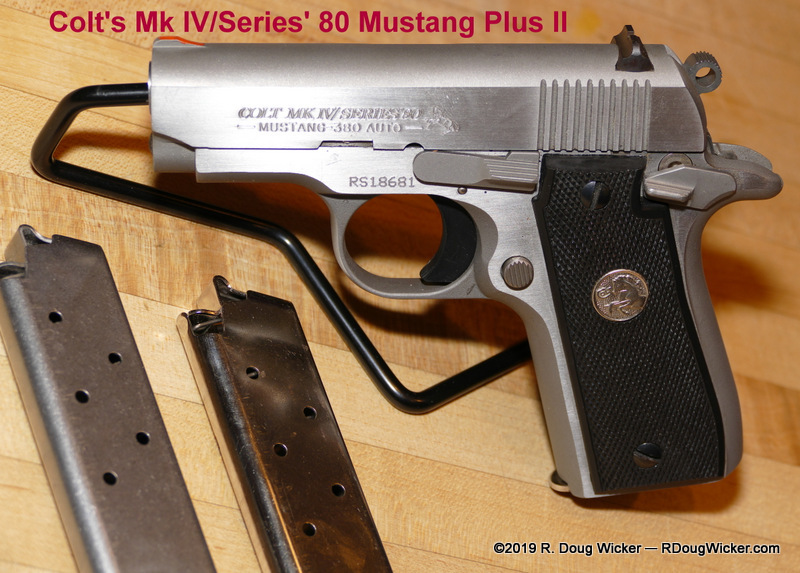 The Mustang Plus II took the all steel 7+1 capacity frame of the Government Model 380, and mated to it the shorter slide and barrel from the 5+1 (later increased to 6+1 after 1992) capacity Mustang — two additional rounds, hence the name Mustang Plus II. These original Mustang Plus II pistols were blued steel, but sometime around 1990 Colt came out with a stainless version. Production of the stainless Mustang Plus II was thus only around seven or eight years, making this a bit of a rarity. At least I’d never seen one, up until July of last year. 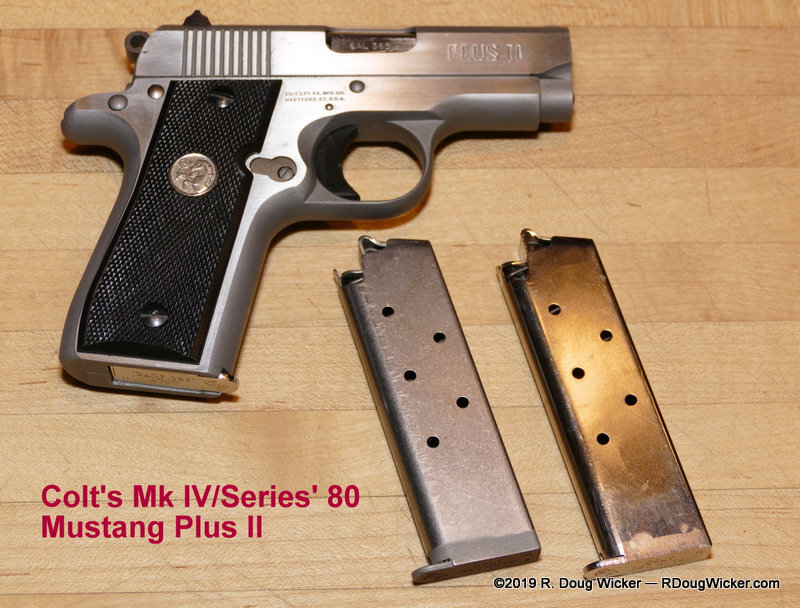 The MK IV/Series 80 Mustang Plus II you see here today was manufactured in 1991, and appears very lightly used with no holster wear marring the stainless slide. 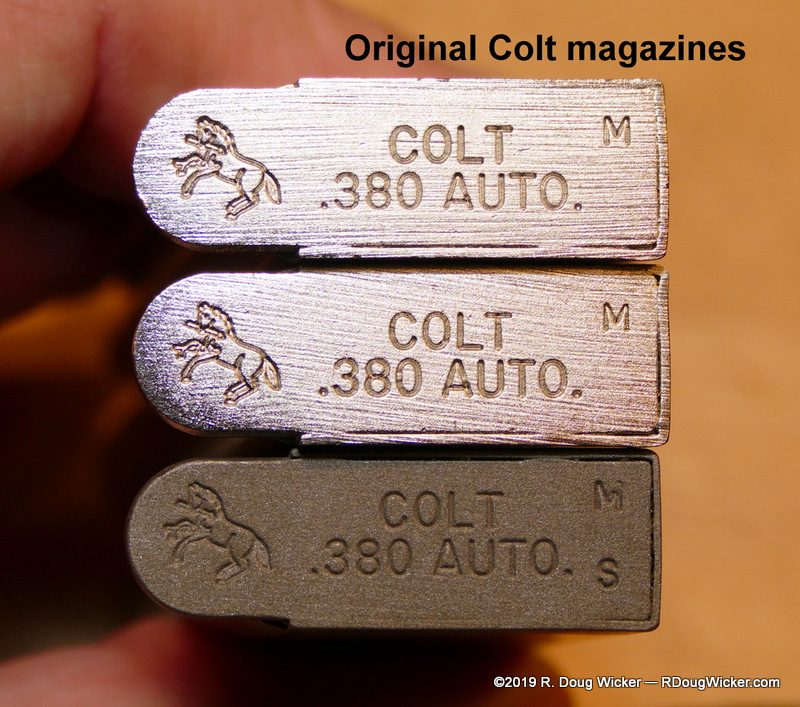 It came with three factory magazines, which on the base are stamped with the Rampant Colt trademark, the letter ‘M’ on all three magazines, and the letter ‘S’ also on the nickel plated magazine, and the words ‘Colt .380 Auto.’ on all three. 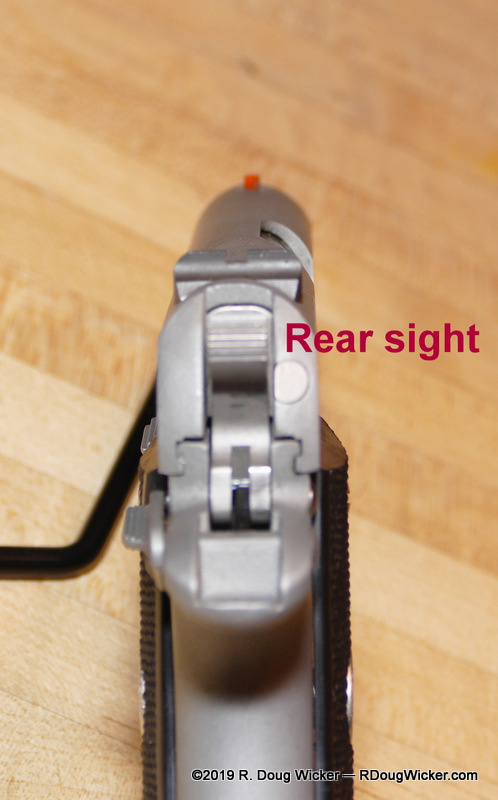 Comparing the slide markings to a more recent (circa 2016) polymer-frame Mustang Lite, the two lines on the left side read, “—MUSTANG—,” and “COLT 380 AUTO.” The right side of the newer Mustang Lite is blank, but, “CAL 380,” is stamped on that portion of the barrel visible through the ejection port. 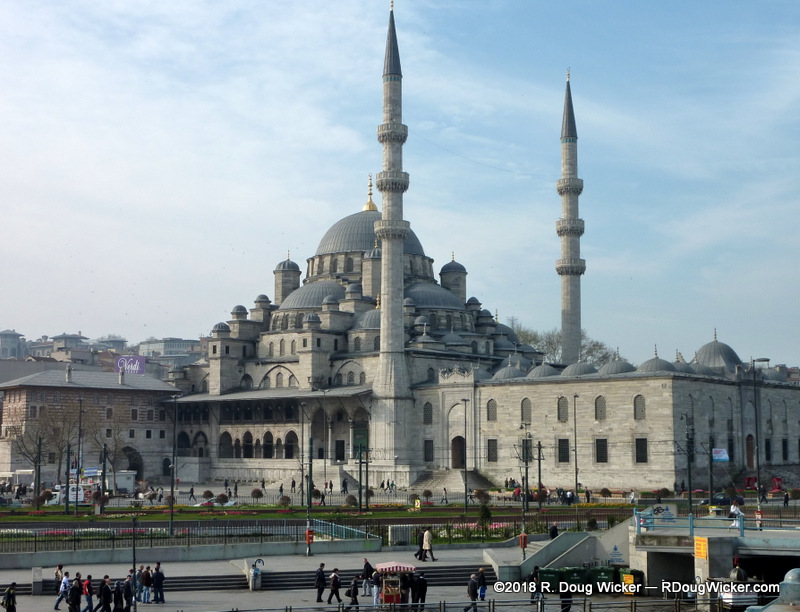 Dimensionally, the two guns are very similar. 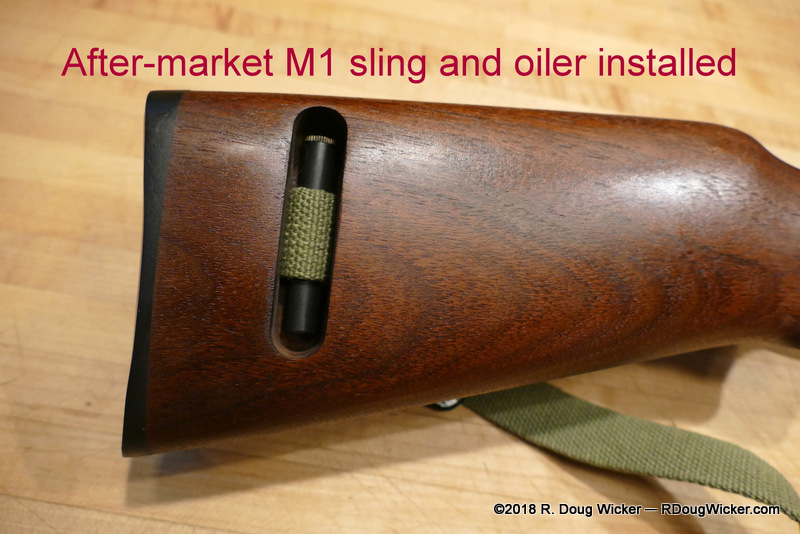 Slide and barrel length are, of course, the same, but the slightly longer beavertail of the Mustang Plus II adds perhaps a millimeter of length. The height differs, as one would expect. 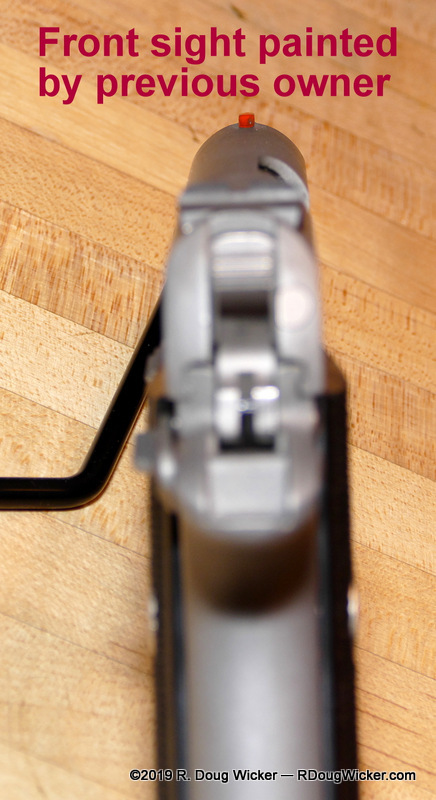 The Mustang Lite comes in at 3.9 inches/99mm, whereas the Mustang Plus II measures about 4.5 inches/114mm. But it’s the weight that most distinguishes the two. The Mustang Lite with it’s lightweight polymer frame, is a mere 12.54 ounces/356 grams including a empty magazine 11.2 ounces/318 grams without magazine). 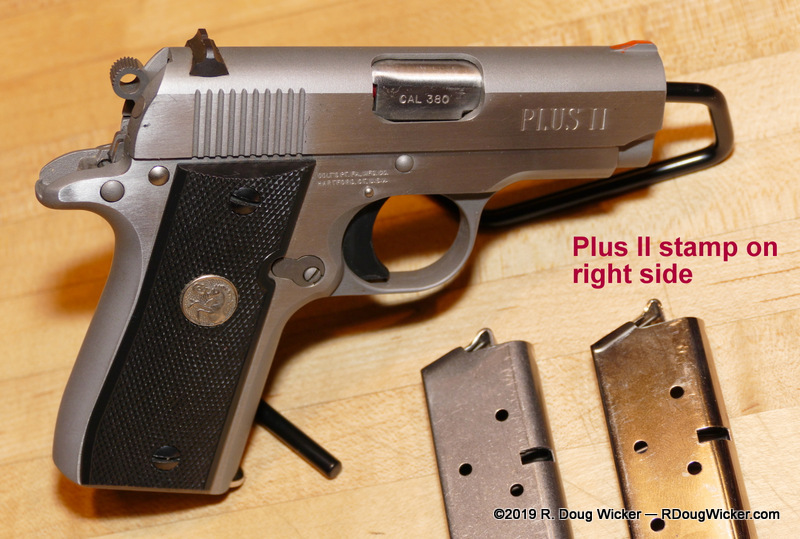 The slightly larger, all steel Mustang Plus II tips my scale at 19.42 ounces/551 grams (17.9 ounces/508 grams without magazine). 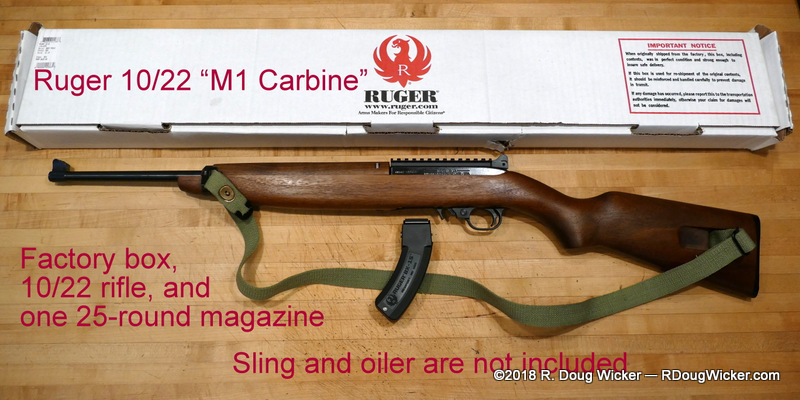 Magazine capacity only differs by a grand total of one—7+1 for the Mustang Plus II vs. 6+1 for the Mustang Lite when using the included (but in my case nonfunctioning) factory magazine. 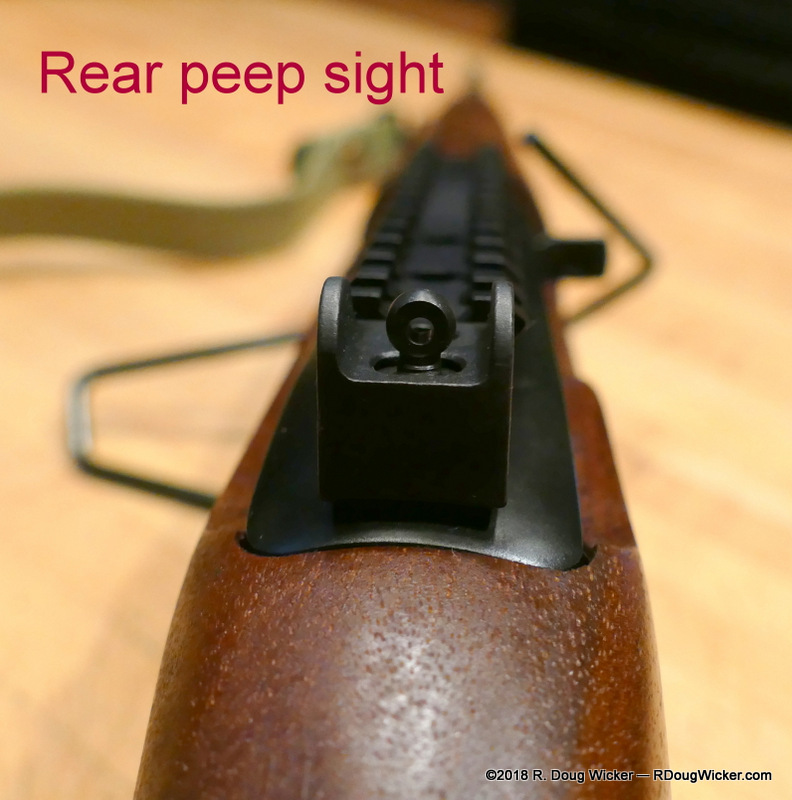 There are aftermarket (and more importantly reliable) magazines that give the Mustang Lite 7+1 capacity, but at the expense of an extra full inch/25mm of height because of the magazine’s finger rest configuration. 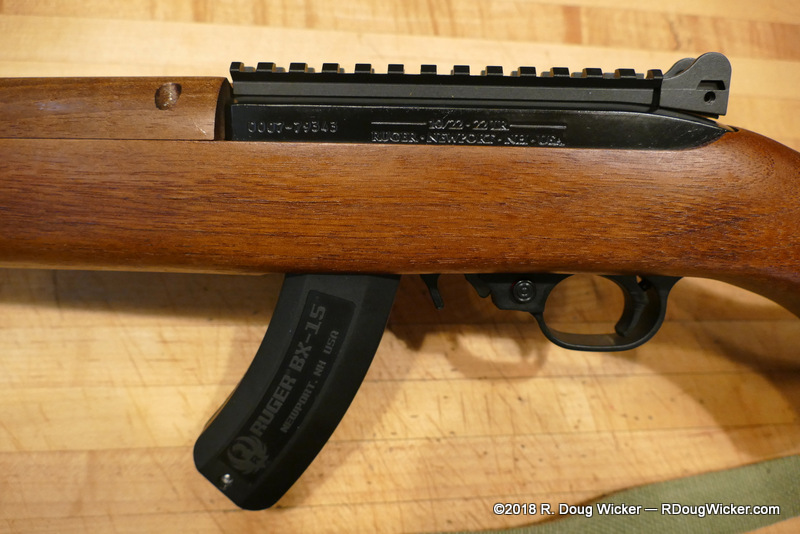 Comparing the Plus II magazine to the extended aftermarket magazine for the Lite, it appears Metalform could knock off a half-inch/12.5mm of that penalty if they just left off the finger rest extension. 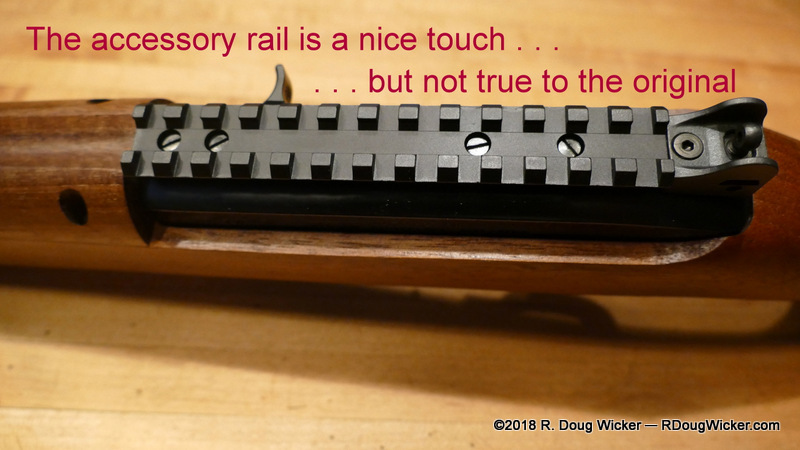 But that extra length does allow for a more secure grip, as the pinky finger is no longer left dangling beneath the frame when the extended magazine is used. 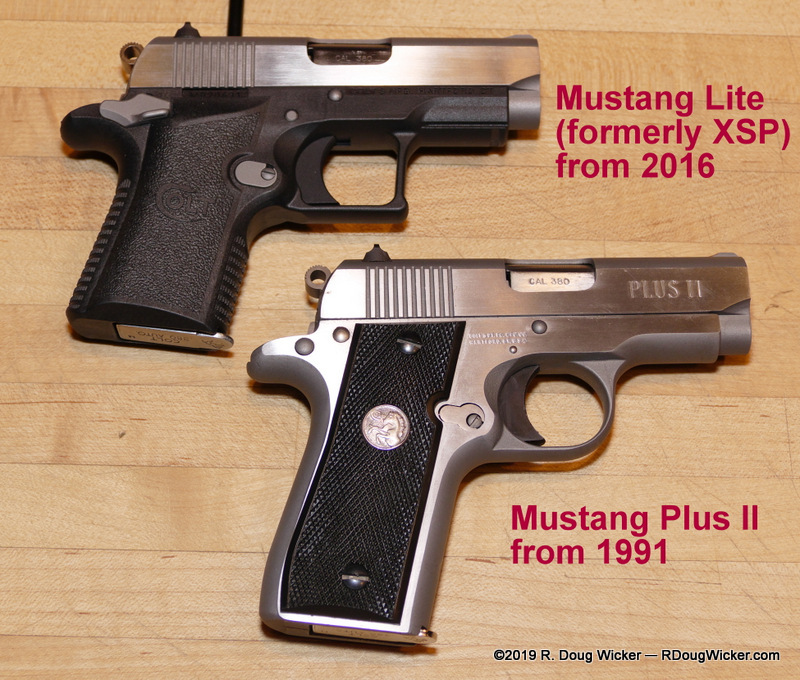 I’ve yet to fire the Mustang Plus II, and I look forward to a direct comparison with the Mustang Lite. The additional weight probably won’t help much in the recoil department, as I find the Mustang Lite already very controllable even without the 6.88 ounces/195 grams of added mass. So, if I were to choose between the two for a concealed carry piece, which would I pick? 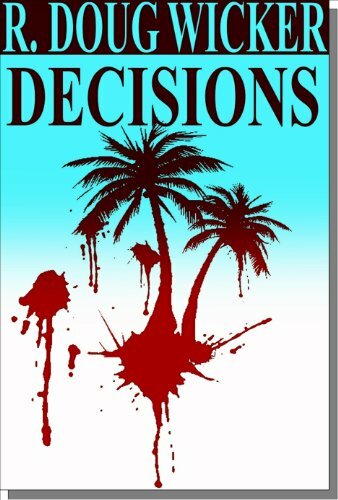 Hard choice. 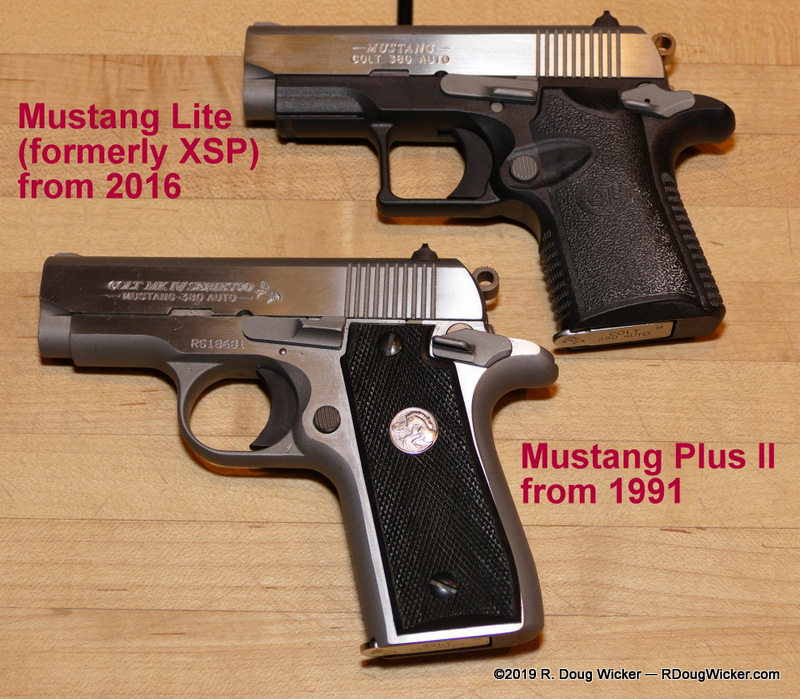 The Mustang Lite has the advantage of an ambidextrous safety, which is not really relevant to me as a right-hander (unless I had to use it with my left hand, of course), and the Mustang Plus II wins out in the height department by a small amount if you equip the Mustang Lite with an extended magazine to match the capacity of the Plus II. 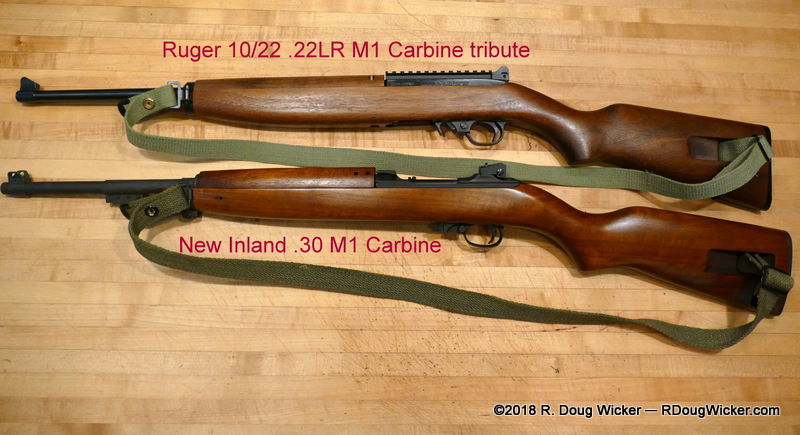 Weight difference isn’t really a factor on something already under 18 ounces, but I’ll admit that I do enjoy the additional heft and overall balance in the hand of the marginally heavier Plus II. 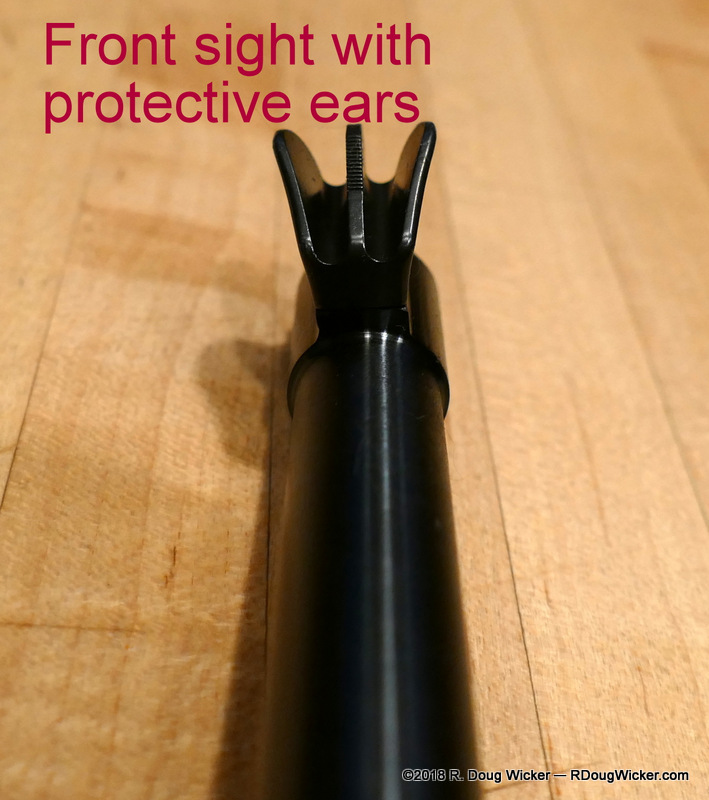 There is, however, a subtle difference in the triggers. The Mustang Lite takes up quickly and consistently, then has perhaps an eight of an inch of creep before breaking. The Plus II, on the other hand, displays more resistance on the longer take up, almost to the point of feeling mushy. And there’s a tactile, almost second-stage feel during the take-up pull. But the break requires less pull and feels cleaner with no creep at the end. Both triggers are exceptional, but I believe I prefer the feel of the Plus II in this department.